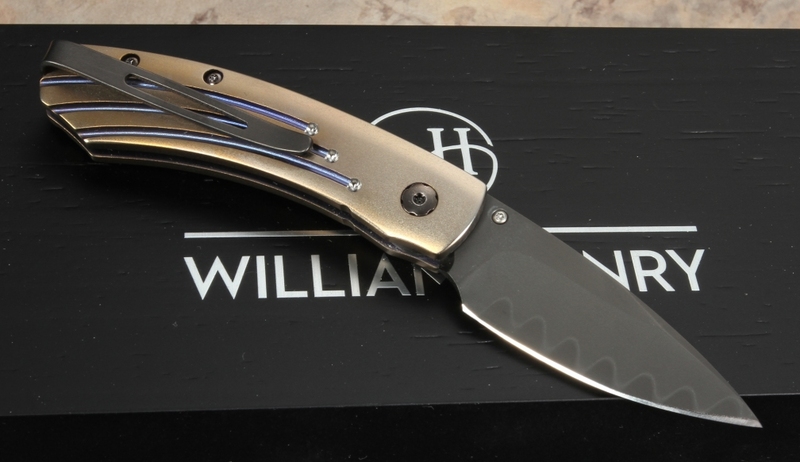 If you are considering the purchase of a premium folding knife, The William Henry B09 Singe - Kestrel Model - is a great choice for anyone that appreciates a quality cutting tool with amazing materials and aesthetics. 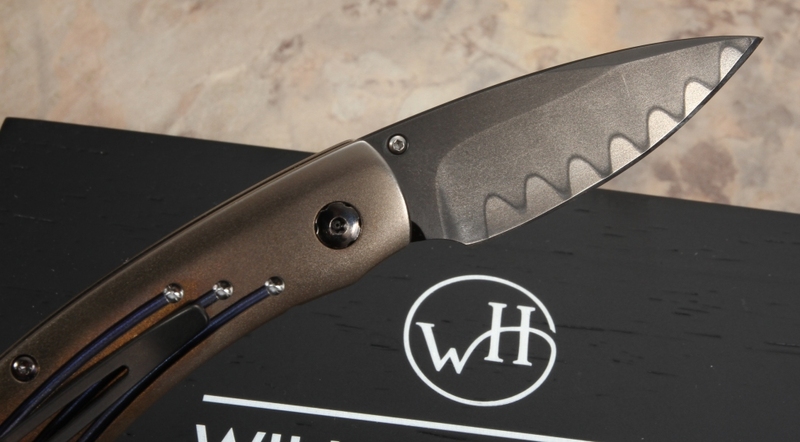 The blade size of the William Henry B09 Singe is 2.06" with a total size of 5.06" and is made with stainless ZDP-189 steel, which is the latest in high-tech black coated stainless steel. The blade is hand finished and is a work of art within itself. The handle of this knife is made of titanium and is hand finished and anodized. The thumb stud is beautifully inlaid with matching blue sapphires as is the button lock. The B09 Singe is a lightweight folding knife that's known for its strength and durability. This folding knife can be easily be carried in a pants or shirt/jacket pocket. 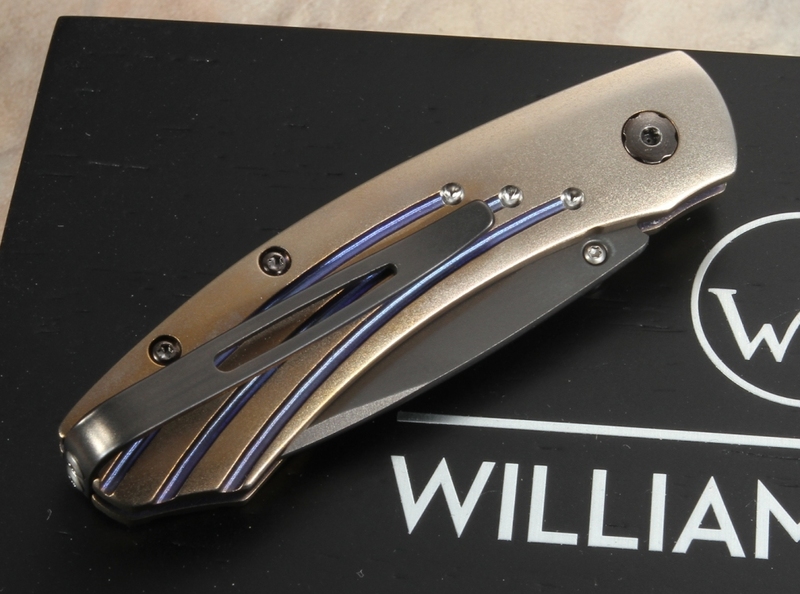 The William Henry B09 Singe - Kestrel Model is the perfect everyday carry folding knife and is great if you are looking for something lightweight that you can carry around on a daily basis. Anodized titanium pocket clip matches with the blade nicely. 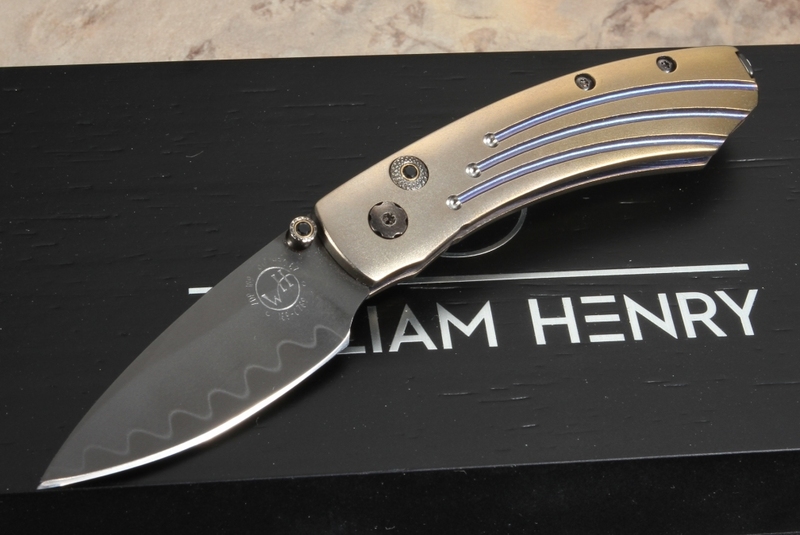 The B09 Singe is an American-made knife that is part of a limited edition of 250 knives. Each knife is individually numbered, includes a Certificate of Authenticity and comes with a fantastic wooden presentation box. This knife is not only functional, but will also complement your look and your style.